Calls cost 10p pence per minute from a BT landline. Calls from other networks and mobiles may vary. 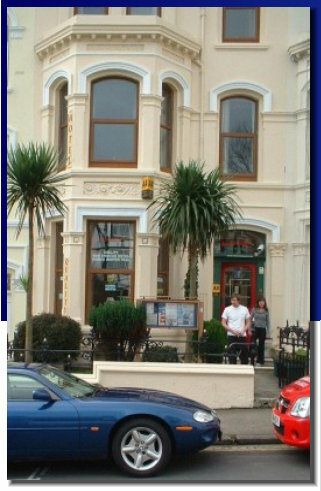 Purpose built Victorian guest house situated on the main thoroughfare, just off Central Promenade in Douglas, the capital of Mann. Close to all major attractions including the Gaiety theatre, Villa Marina, Manx museum, main shopping area and financial sector. Easy access to steam & electric railways and the World famous TT grandstand. All rooms with free broadband internet, Tea/Coffee making facilities. Free on street permit parking. We sell island explorer tickets, a great way to see Mann. Unlimited travel via steam, electric & mountain railways, Douglas horse tram, and all island bus services.